Save Big And Soar High! 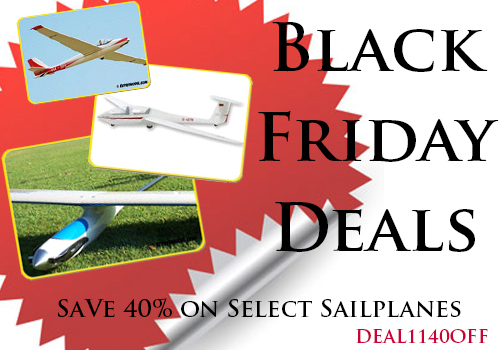 Get 40% off selected Electric Sport and Scale Sailplanes. Must Use Discount Code: DEAL1140OFF. See our newsletter for more information.